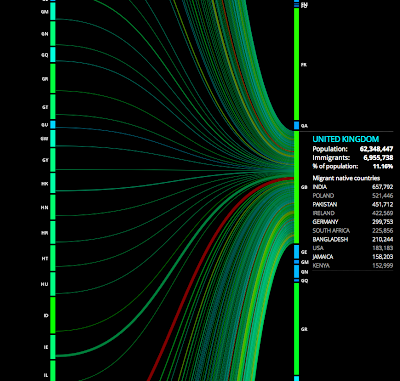 Great visualisation project showing how people move between countries. Kinda hard to identify the countries you're interested in, but still really interesting. Click here to check it out.